An upcoming talk covering security problems in Internet-connected cameras has been canceled after opposition from some manufacturers. Gianni Gnesa was scheduled to give a presentation titled "Abusing Network Surveillance Cameras" on Oct. 14 at the Hack in the Box GSEC conference in Singapore. Internet-connected video camera, or IP cameras, are widely used for security systems, offering the advantage that footage can be streamed anywhere remotely. But anything connected to the Internet poses risks if not properly secured. 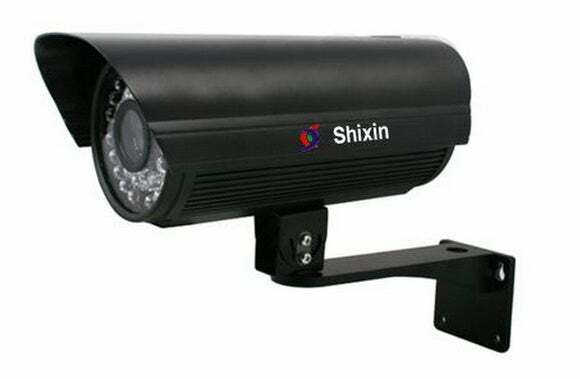 IP cameras, like this one made by Shenzhen Shixin Digital, are widely used in the security industry. According to a writeup on the conference website, Gnesa planned to expose vulnerabilities in major surveillance cameras and show how an attacker could used them to stay undetected. But the writeup also says Gnesa decided to pull the talk after "legal pressure from the manufacturers affected." Gnesa, an IT security consultant with Ptrace Security in Switzerland, said via email on Tuesday he didn't immediately have time to discuss the situation in depth. But he wrote on Twitter on Monday that "if companies would use half of the energy they use to get after researchers to fix their products, we would all be more secure." Security researchers sometimes encounter resistance from technology vendors when they find vulnerabilities in their products. Occasionally, the situations escalate, with companies turning to their legal departments and the courts to block the release of sensitive information. In August, FireEye obtained an injunction from a district court in Germany to block the release of information concerning one of its security products. FireEye sought to stop ERNW, a consultancy in Germany, from releasing some details as part of a security advisory that it felt contained too many technical details about its FireEye Malware Protection System. Most security researchers practice what's known as responsible disclosure. Details of software problems are often not fully described until manufacturers have had time to develop and release patches. Dhillon Andrew Kannabhiran, founder and CEO of Hack In The Box, wrote via email the decision to nix the talk was left up to Gnesa. "It was his call citing legal pressure from the manufacturers affected," Kannabhiran wrote. "We would never pull a talk."